Both northern and southern hemisphere stargazers are treated to many striking constellations that are visible any night of the year – the northern and southern polar constellations. 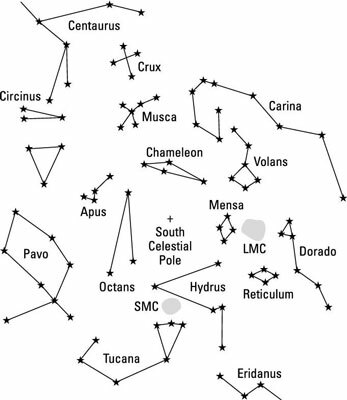 These constellations are what’s called circumpolar, meaning they never rise or set. That’s very handy, since it means they are above the horizon all year, and are visible all night, so you’ll soon get used to finding them and using them as signposts to other constellations. 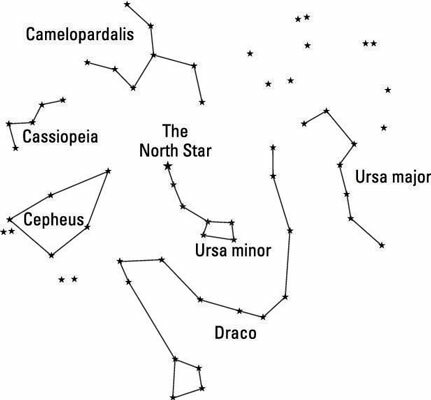 These constellations, when observed from northern latitudes, are circumpolar, meaning they never rise or set. That’s very handy because it means they’re above the horizon year-round and are visible all night, so you’ll soon get used to finding them and using them as signposts to other constellations. Where in the sky you have to look depends on where on Earth you’re stargazing. The northern polar constellations all appear towards the north of the sky, but the closer you are to the North Pole, the higher they are. In fact, the North Star’s altitude above the northern horizon is equal to the latitude you’re stargazing from. Remember that as the Earth spins, the position and orientation of the constellations changes. The maps show their relative positions next to one another. Check monthly star maps for your location to find out where in the sky the constellations actually appear.